Ukraine’s status as the seventy-first nation in annual World Bank Doing Business ranking reflects the current reality that it is still a challenging place for large-scale investments. Nevertheless, the overall investment picture for small and medium-sized businesses in Ukraine has improved dramatically in recent years and is deserving of far more international attention than it currently receives. Part of the problem is a matter of perception. The Ukrainian business community itself plays a major role in establishing negative narratives about the country, thanks in large part to a near-constant flow of complaints about the insufficient pace of reforms, continuing corruption, a lack of trust in the judiciary, and so on and so forth. All these issues are genuine concerns and require serious government attention. However, it is quite possible for small business owners, entrepreneurs and international investors to enter the Ukrainian market and entirely avoid any of the negative consequences from these pet peeves, as long as they maintain basic compliance standards in their everyday business activities. Ukraine is actually losing significant additional GDP growth points each year due to these exaggerated negative perceptions. It is also losing out due to the failure to promote the country’s enormous business opportunities internationally in a professional and effective manner. This means everything from Ukraine’s cost-competitive and highly skilled workforce to the advantages of the EU Association Agreement and the country’s convenient geographical location on the EU’s doorstep. It also means highlighting the widely underestimated fruits of the country’s post-2014 reform process. The past few years have witnessed a range of positive changes throughout the business environment, starting with registration procedures while encompassing things like currency laws and accounting processes. The taxation system has undergone simplification in order to support the growth of SMEs and the private sector. A major breakthrough in accounting regulations is now well on its way towards implementation. Another example of progress in the Ukrainian reform agenda is the Ukrainian government’s e-procurement system, ProZorro. Many international readers will no doubt be surprised and interested to learn that this system has become the golden standard for procurement transparency, simplicity and efficiency worldwide since its implementation following Ukraine’s 2014 Revolution of Dignity. It has earned Ukraine considerable international plaudits including a World Procurement Award as well as gold in the Open Government Award contest in 2016. Today, any business can use ProZorro and take part in governmental tenders that match its competitive advantage criteria. The biggest challenge is the fact that not many companies actually know about this cost-free business opportunity. Small and medium-sized business opportunities are particularly attractive in the priority sectors of the Ukrainian economy such as IT, agriculture, manufacturing, energy, logistics and infrastructure. Everyone knows the advantages of being a business pioneer. However, the international business community has yet to realize that the timing is now ideal to benefit from pioneer status in Ukraine. Instead of drawing attention to opportunities for smaller strategic investments, the major stakeholders engaged in promoting Ukrainian success stories tend to focus their efforts on headline-grabbing investment initiatives such as the arrival of Ukraine’s first IKEA and H&M stores. With attention firmly fixed on the appearance of global brands in Ukrainian shopping malls, international audiences are only now starting to notice that Ukraine has been the number one IT outsourcing country in the region and a software development powerhouse since 2015. The striking success of the Ukrainian IT industry is due to the efforts of thousands of relatively small companies and individual entrepreneurs. Together, they have created one of the fastest-growing sectors of the Ukrainian economy. This IT sector currently provides services for hundreds of major international companies including numerous German businesses. Many more stories of successful cooperation between Ukrainian and European Union companies remain off the media radar. The reasons for this low profile are often pragmatic and do not reflect dissatisfaction with the results of cooperation. 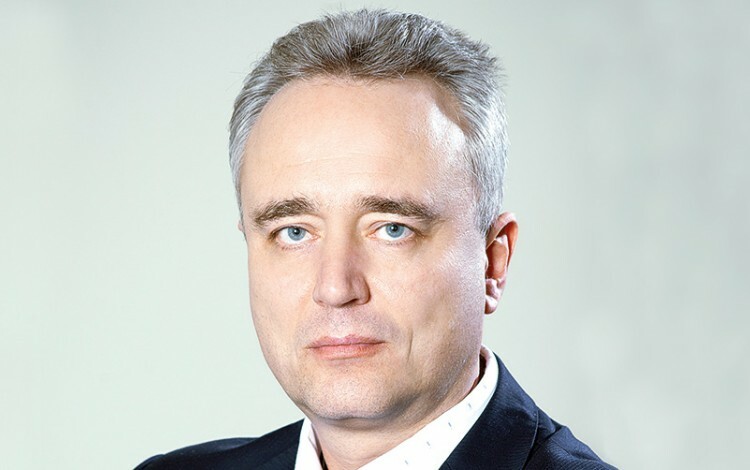 On the contrary, many Ukrainian executives say they prefer to keep a low profile for two practical reasons – to avoid attracting competition and to escape the attentions of the Ukrainian fiscal authorities, who might be interested in the opportunities presented by a successful international venture to replenish state budgets. 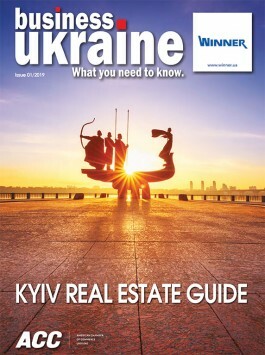 Despite the many attractive features it offers, German-speaking investors who are planning to enter the Ukrainian market must bear in mind numerous local nuances. For example, the business registration process takes just a few days once you have submitted the required package of documentation. However, in order to proceed in a fully compliant manner, you should also provide information about the legal address of your entity in Ukraine as well as having a suitable Ukrainian national ready for appointment to the position of interim director for registration purposes. Previous experience has shown that these two relatively simple requirements are often a surprise for international investors entering the Ukrainian market for the first time.